Recently, I was invited by Google to participate in “Mobilizing Mobile” in Mobile, Alabama. As part of Google’s Go Mobile initiative, the event demonstrated what happens when a city’s infrastructure and community goes mobile. Below you’ll find four key take-aways from teaming up with Google. I believe they can be applied by any startup, in any industry. Consumer adoption of the mobile web is outpacing the rate at which mobile web experiences are being built. In less than three years, more people will access the web via a mobile device than by any other way. Google recognized this trend, and now its showing others where the world is headed. By painting the bigger picture for everyone else, Google is also framing what the future will look like. Setting the agenda may sound like a lofty goal for a startup, but that’s what you should be focused on. Startup companies are all about painting the big picture before anyone else can see it. Without a big picture idea, who will join you as a co-founder on your high-risk, potentially hallucinogenic quest? Who will fund you? Who will buy your product, rent you office space, listen to your pitch, or support your ideas? It’s this kind of foresight that creates new opportunities in the marketplace. Now that you’ve created your framework, you need to show it to your audience. Google goes to great lengths to make its products approachable for users and developers. And they work hard to get users to test out new products as soon as possible. The GoMo Meter embodies several aspects of Google’s philosophy when it comes to new products. It has a low barrier to start, requires no commitment to use it, and offers easy access with a simple and obvious interface, all tied to a topic that interests each of us endlessly — ourselves (or, in this case, our websites). 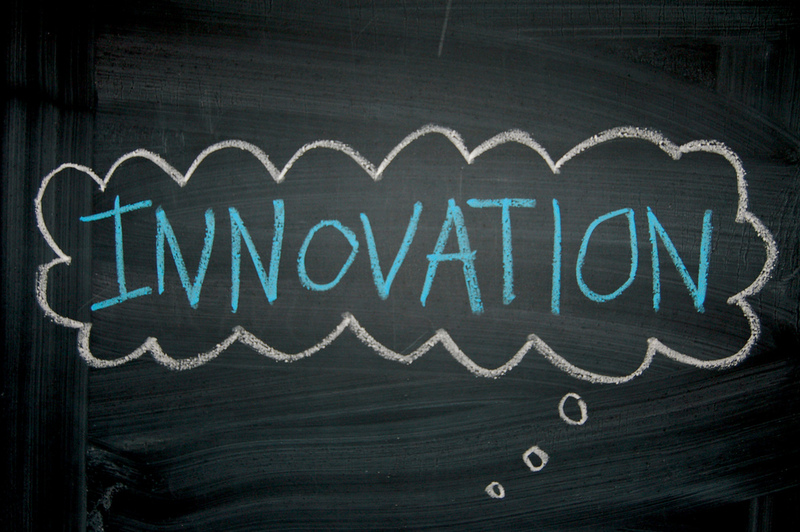 How do you make your startup’s innovation tangible? Start by figuring out what makes your innovation meaningful to your customers. What do they see and feel in their initial product encounter? When they ask themselves, “What is this?” and “Is it for me?” guide them to the right answer. Look too for the human behaviors that your product is working on. It’s humans who will make decisions and judgments about your products, and you can tap into some enduring human traits in well-known ways. For example, after successfully raising a VC round, Redfin CEO Glenn Kelman mentioned that well-known VC Roelof Botha only invests in consumer companies that let consumers indulge in one of the seven deadly sins. Lastly, give users something obvious and easy to do. This could be watching a video or slideshow, clicking a button to initiate an action, entering a few data points, showing some before and after screenshots — anything that leads to a tangible and specific interaction. As a startup, if you get people interacting with your product, you start to influence their behaviors. Their behaviors then influence their beliefs, which again influence their behaviors in a virtuous cycle. You could try to influence beliefs. Untold millions are spent everyday attempting to influence beliefs – that’s much of the advertising you see. But it’s very hard both to influence beliefs and to measure changes in beliefs to learn if you’re effective. So focus on behaviors and let them lead to beliefs. A simple way to prove that you want to influence behaviors over beliefs is to consider fast food. People eat it (a behavior) but they don’t believe it’s good for them. And how many of the seven deadly sins does it appeal to? Sloth, to start, and greed and gluttony for good measure. Ask the hard question: what are the behaviors you want to have happen because of interaction with you product? Are those behaviors plausible and part of human nature? Focus on the parts of your business that are fundamental to how customers use your core product. Since a growing number of customers are accessing Google’s core search products through mobile devices, the company has purposefully allocated time, people, and money to development in this sector. It may sound simple for a multi-armed beast like Google to redistribute some of its wealth, but having a lot of resources means the company can easily get derailed and scattered. It’s just as hard for a large company to focus as it is for a startup. While a startup tends to have a scarcity of resources, it also has the freedom to focus wherever it chooses and to change that focus whenever it wants. The popular term here is “pivoting.” Startups, like all businesses, find success in momentum, and momentum is all about velocity. A startup that changes direction all the time ends up going in circles. Google has built a superb business by understanding the value of data and gathering that information so that others can make meaning from it. Google tracked the traffic it generated from the Go Mobile event to see if the initiative had been persuasive. Let’s call those micro-metrics. Micro-metrics — visits, conversions, leads — were used for tracking and tuning, and the macro-metrics — years of mobile adoption, traffic, revenues — drove the strategy and focus. Eric Ries, author of The Lean Startup, has a great blog post with much more detail on startup metrics (and tracking the micro while making decisions on the macro) called “Learning is Better than Optimization. The hard part is balancing the micro and the macro. Every day in a startup involves a ton of detailed work in the micro details of execution, while each decision in the micro details of execution influences the macro strategy. The answer to balance out the two? Habits and self-reflection. For Google’s GoMo we connected monthly on a few measurements we’d established to track our success – traffic numbers, leads and conversions. Internally at my company Mobify, we have a weekly process where each team lead announces their key numbers. Then on a regular basis we review the key numbers. In that review we talk about both the key numbers – their sources, influences and meaning – as well as whether these key numbers are the right numbers to be tracking. A great framework for figuring out your key performance indicators (KPIs) is to think about your segment ABCs: Acquisitions, Behaviors, Conversions. This ABCs framework is from Avinash Kaushik, Google’s Digital Marketing Evangelist and author of two great books on web analytics. His blog post Web Analytics Segmentation is a terrific guide to getting started and improving your abilities to balance the micro and the macro. Combine the ABCs framework with good habits and self-reflection and you will find meaning in measurement. While it’s hard to imagine that your startup has much in common with a giant like Google, these four strategies should resonate with any sized-business. Think big and paint the picture before anyone else can see it. Have the resolve to focus where attention is needed. And most importantly, never lose sight of what makes you meaningful to your customers. Your company may never reach the size and scale of Google, but your startup can still make a sizable difference. Igor Faletski is the CEO of Mobify, a web platform that optimizes ecommerce and publishing sites for mobile and powers more than 20,000 sites. What a well written post ! Using the already established Google to take your business reach new heights is surely a great idea. Cheers Igor ! You didnt actually say anything, but you did manage to convey the fact that you like talking in circles about nothing. Splendid post. And you couldn’t have said it better: balancing the micro and macro is one of the biggest challenges. Good article. I wonder why is this not on Techcrunch ? Great, have a Google event coming up in Addis next week. Teaming up with Google is a terrible idea. They steal your ideas and then copy them. Google is the new Microsoft.